As 2015 comes to a close, I’m in a flurry of potential trip planning for next year. A whole year with no trips planned! What’s a girl to do? Plan trips regardless if I’m going or not of course! My other half, C, and I will likely take off for a week in March, but the question is where? I’ve knocked off one of my dream destinations (aka Japan), but there are so many more to explore in this world. We’ve narrowed it down to a couple of destinations but haven’t confirmed anything. One country I had put out there was Iceland, but he didn’t seem so convinced. So my dear C, here are all the reasons why I think we should go to Iceland next year. The Blue Lagoon and a photo of its milky blue waters and steam rising off its waters was my first introduction to Iceland. A friend of mine visited the country a long time ago, long before there was much hype for Iceland, and this image of him relaxing in the warm waters of the Blue Lagoon stuck in my mind. Since then, I’ve fantasized of doing that for myself. Dipping my toes in the water with the surrounding snow as steam from the pool rises. Sure, it’s super touristy, but I don’t care! While there is no guarantee of being able to see the Northern Lights during our visit, with reports of it being the last opportunity to see the lights before they dim for a decade, makes me want to go to Iceland sooner rather than later. Sure, you can see the lights in other places (even in the outskirts of Vancouver! ), but for some reason seeing them in Iceland sounds so much cooler. 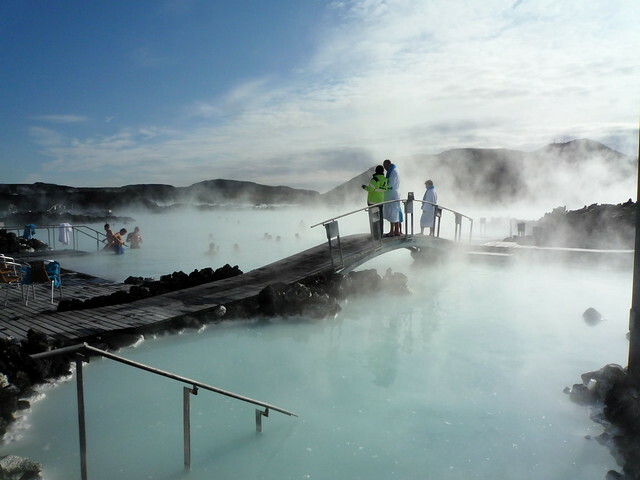 After visiting the Blue Lagoon, driving the ring road is something I definitely want to do. 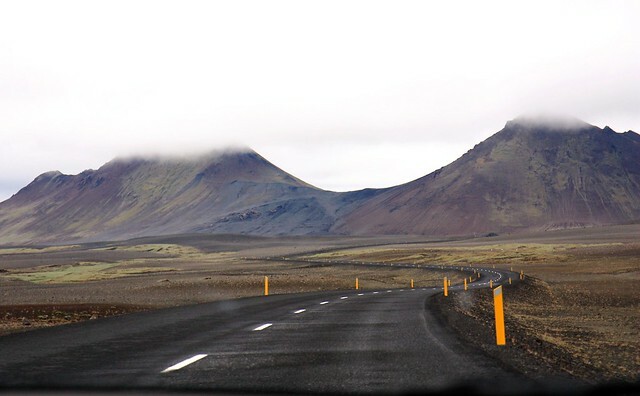 Iceland’s Route 1, nicknamed the ring road, forms a ring all the way around the country connecting villages and popular tourist attractions throughout. One of my favourite travel documentaries, Departures, did an episode on their adventures in Iceland (also available on Netflix) which sparked my desire in road tripping around the country. I’m pretty fortunate to live in a beautiful country and a fantastic city with access to both the mountains and the ocean. It’s gorgeous, but everything I have seen and heard about Iceland’s stunning landscapes makes it seem otherworldly. It’s massive waterfalls, giant glaciers, and dominating volcanoes make it so completely unique and different from anything I’ve seen. As an amateur photographer, I would love to explore it behind the camera lens. While I’ve been inside caves before, I’ve never been inside an ice cave. Images of these blue crystal glacial ice formations have completely enchanted me. While there are a few locations where you can find ice caves, there are a variety of tour companies (don’t do it without a guide!) that take you to the ones located underneath the giant Vatnajokull glacier, one of the largest in Europe. 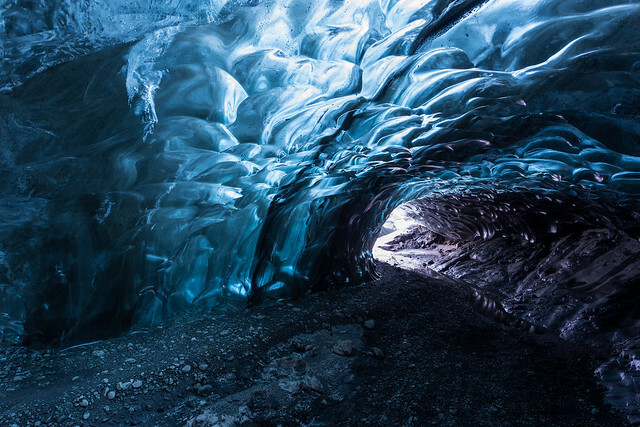 It looks like an incredible experience to be inside a glacier. My fascination with this rugged country in the middle of the Atlantic Ocean has been a long one and as the year draws to a close, I’m dreaming of Iceland for 2016. With so many fascinating things going for it, I would love to see why the country is dubbed the land of fire and ice for myself. So what do you think C? You with me? Have you decided on your travel plans for 2016? Where are you considering or going? Disclosure: this post was written in partnership with Guide to Iceland, but all opinions and views are my own. its a beautiful, unique place I hope to return to one day. Having a car is almost a must! Very random thought but I was just watching the Secret Life of Walter Mitty tonight and I think he skateboarded down the Ring Road. I could be wrong though. Anyway, this was such a cool post and after all the cool stuff that people are saying about Iceland, you’ve got to go! Hell, I’ve gotta go now thanks in part to the inspiration you just spread. Thank you for sharing. I’m on the lookout for a flight now, lol. Haha, that is indeed a very random thought Duke. I haven’t see that movie, but I’ll have to check it out. I hope you make it to Iceland in 2016! Iceland looks absolutely incredible. 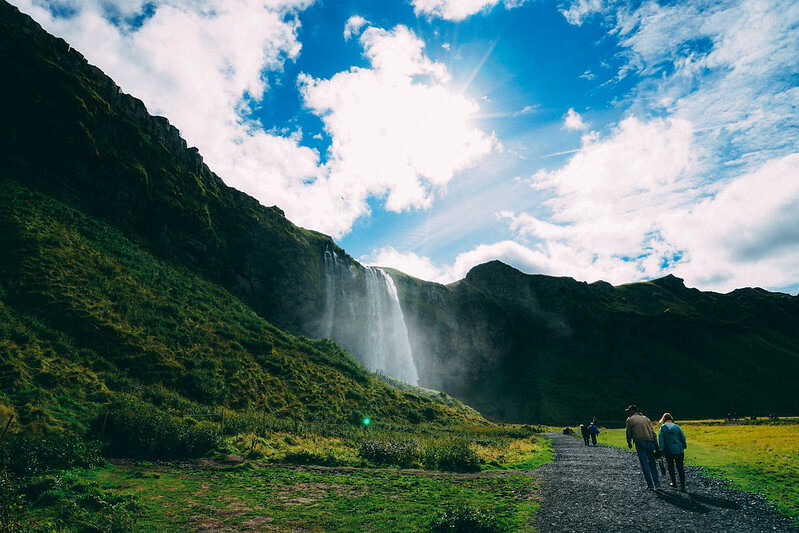 I’m in the process of planning out my 2016 trips as well and hiking in Iceland is near the top of the list. Ohh I hope you make it there in 2016! A hike would be amazing in Iceland.